Richard Joseph Yordy: pastor; born 8 October 1922 on a farm near Eureka, Illinois to Walter and Alma (Eigsti) Yordy. He was the oldest in a family of two sons and two daughters. On 3 June 1945 he married Ruth Miller. They had three sons. Richard died 21 May 1995 in Calgary, Alberta. In the mid-1930s Richard moved with his family to Chicago because of the difficult times for farmers during the Depression. Spending his teenage years in the city was unusual for a Mennonite of Richard's generation in the U.S. and surely shaped his openness of spirit to new ideas and challenges. His education included B.A. and B.Th. degrees from Goshen College and a B.D. degree from Goshen Biblical Seminary. He also studied at Moody Bible Institute, Bethany Biblical Seminary, Eastern Illinois University and Garrett Theological Seminary. He was ordained as a minister on 3 November 1946 in Perryton, Texas, and as a bishop on 19 September 1954 at Freeport, Illinois. Although Richard Yordy sometimes took employment alongside his pastoral responsibilities, his vocation focused entirely on the church. He held pastorates in Arthur, Illinois; Perryton, Texas; Freeport, Illinois; Champaign, Illinois; and Hesston, Kansas in the U.S. before moving to St. Jacobs, Ontario in 1977. 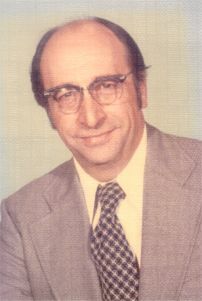 During his Canadian years, Yordy pastored at St. Jacobs Mennonite Church (1977-1989), and then fulfilled a series of interim pastoral assignments at Floradale, Erb Street and Listowel Mennonite churches in Ontario; Pleasant Valley Mennonite in Bath, New York; and Foothills Mennonite Church in Calgary. Richard Yordy also served the wider church in many ways. In 1970/71 he was Acting President of Goshen Biblical Seminary and was conference minister for the Illinois Mennonite Conference, 1969-1972. He had leadership roles on the Mennonite Mutual Aid board, Goshen Biblical Seminary Board of Overseers, Goshen College Board of Overseers, and the Publishing Committee of the Mennonite Publication Board. He also chaired the Mennonite Church's Task Force on Litigation. Yordy undertook similar leadership roles in the Illinois Mennonite Conference and the Mennonite Conference of Ontario & Quebec. St. Jacobs Mennonite Church produced a number of pastors that were mentored by Richard Yordy. He encouraged potential leaders to use their gifts, and refused to settle for the easy answers on difficult issues. His was a voice of reason, but with progressive inclinations. While conference minister in the Illinois Conference he helped pave the way for ordination of the first woman pastor in the Mennonite Church. He was a voracious reader, and his sermons were solid, but not flamboyant. Kropf, Joan. "Yordy Served the Church for Nearly 50 Years." Mennonite Reporter 25 (12 June 1995): 11. Richard Yordy collection, Mennonite Archives of Ontario. Steiner, Sam. "Yordy, Richard (1922-1995)." Global Anabaptist Mennonite Encyclopedia Online. July 2002. Web. 23 Apr 2019. http://gameo.org/index.php?title=Yordy,_Richard_(1922-1995)&oldid=142352. Steiner, Sam. (July 2002). Yordy, Richard (1922-1995). Global Anabaptist Mennonite Encyclopedia Online. Retrieved 23 April 2019, from http://gameo.org/index.php?title=Yordy,_Richard_(1922-1995)&oldid=142352.